Easy to apply and instantly absorbed. Moisturises and refreshes without leaving a greasy residue, providing invisible protection with a dry finish. Suitable for all skin types all year round.
" 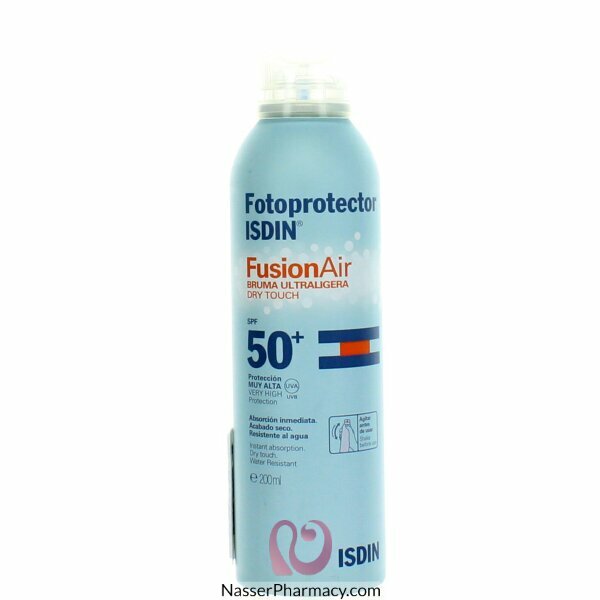 Fusion Air SPF 50+ Dry mist body sun protector. Easy to apply and instantly absorbed. Moisturizes and refreshes without leaving a greasy residue, providing invisible protection with a dry finish. Suitable for all skin types all year round. Apply liberally to dry skin half an hour before sun exposure. Reapply every 2 hours and as often as necessary, especially after sweating, swimming or drying off with a towel. Apply 2 mg/cm² of the product. Reducing this dose will reduce the protection factor. Do not spray close to the eyes or on irritated or wounded skin. "